Alia Bhatt has always wowed us with her uber cool fashion sense. She climbed the charts of fashion very soon in the B town. After proving her versatility as a model and singer now, Alia Bhatt has donned another hat of fashion designer as well. She collaborated with fashion portal called Jabong and designed fall winter collection. Her fashion line was simple wearable clothes for every girl. Her dressing is simple fuss free yet elegant which can be followed easily by college going girls. 1 Peplum and Freeflow Tops and Dresses. Peplum tops are great party wear. Alia too have worn them pretty often. One can check out some of the dresses and tops she had picked up for her parties and dos! 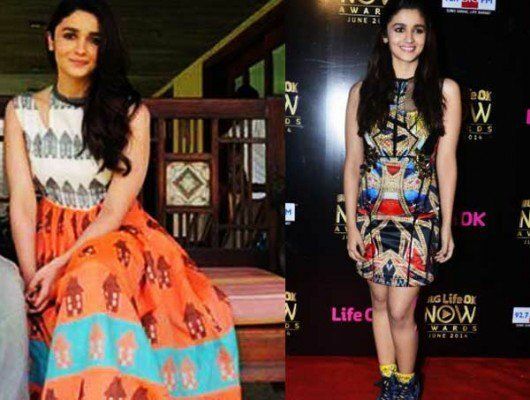 Carry this style statement by Alia Bhatt and bewitch everyone. The best part of bohemian elegance is that anybody can carry it very well. 3 Carrying the right hand bag/clutch. 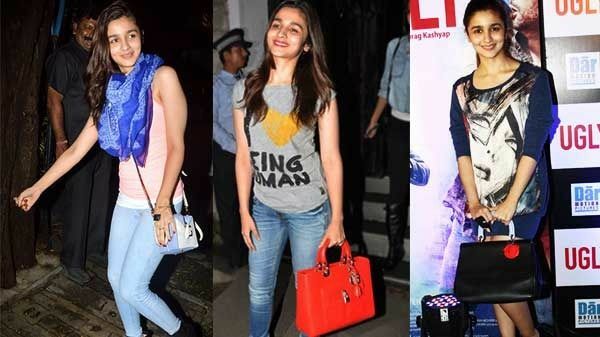 Alia carries bags which are posh and are ideal for the events she goes. One can follow some bag styles from her.